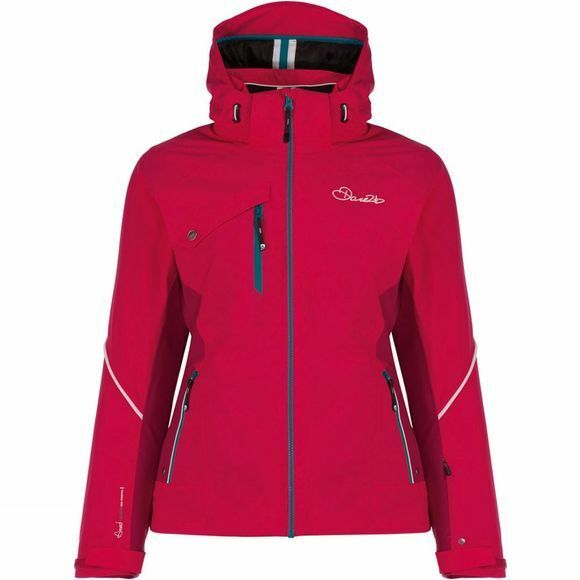 The hard-working Women's Etched Lines Jacket matches solid performance with easy to wear styling for winter conditions on or off the slopes. It uses tough wearing and stretchy Ared VO2 15,000 fabric with a DWR (Durable water-repellent) finish and sealed seams to keep you dry inside and out. The smooth liner is wadded with low bulk, high warmth fill and the underarms feature venting zips for welcome airflow on long runs. 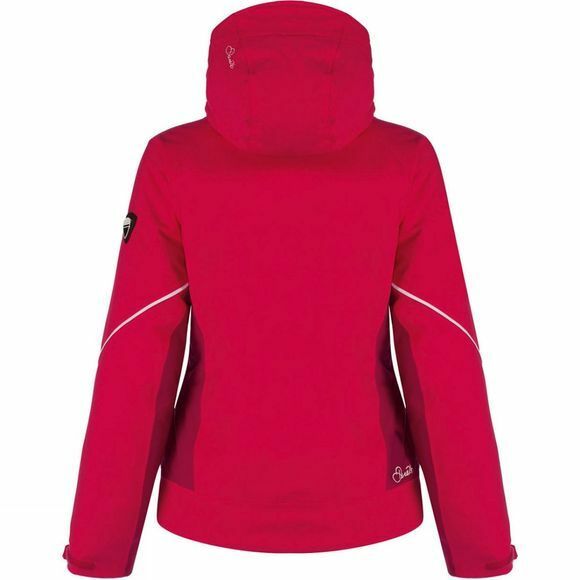 The detachable hood with a wired peak adjusts for optimal coverage and visibility. Further details include a zip-off snowskirt, stretch bound cuffs and a shockcord hem.